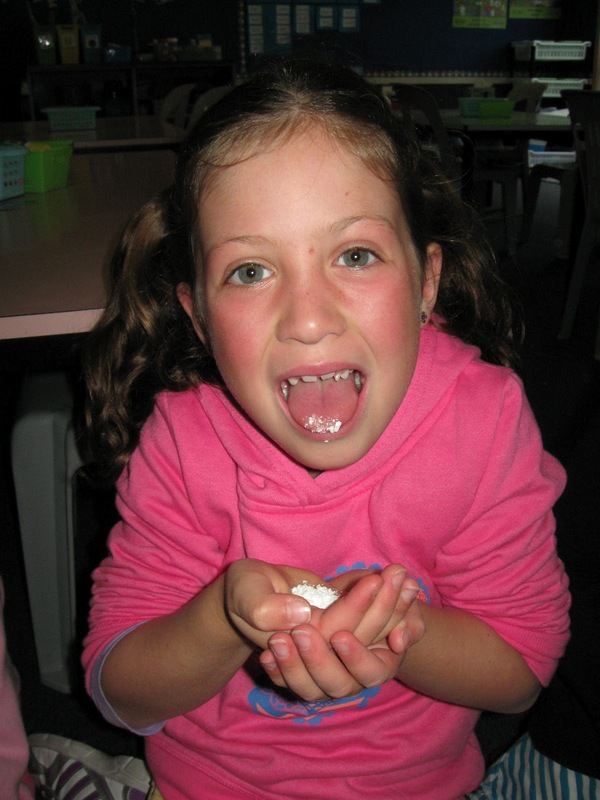 This week was Primary Science Week. 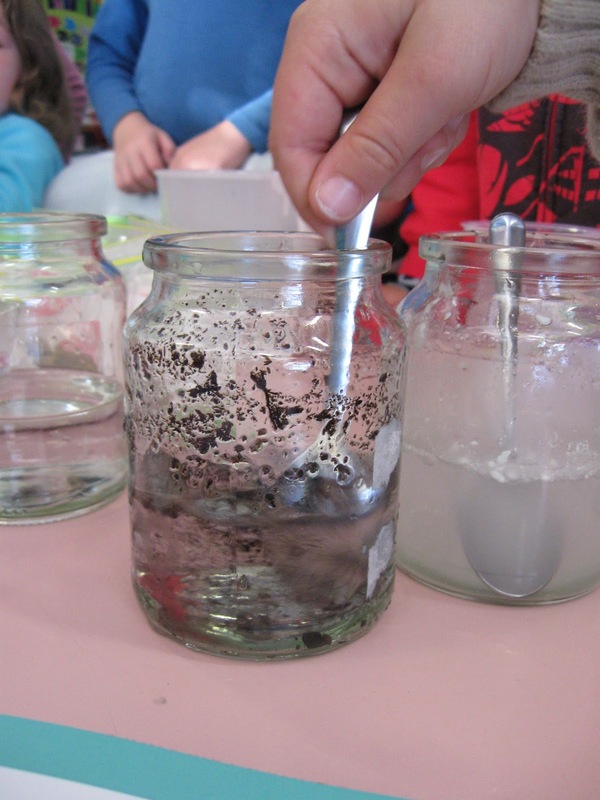 Schools around New Zealand have been learning about science and doing fun science experiments at school. 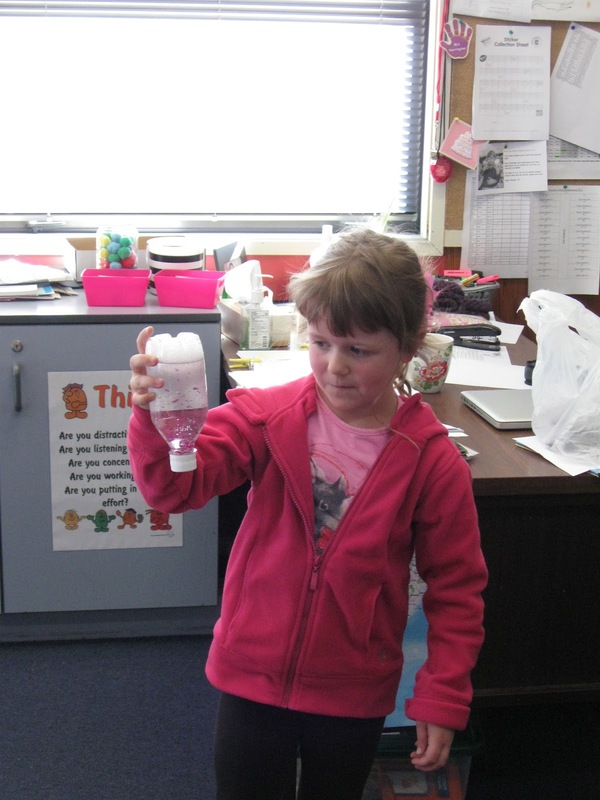 At Eastern Hutt School we had a Super Science Swap. On Thursday all the children in the school went to a different class to do some science activities for the afternoon. Also some children in B4 brought in science experiments to share with the class and gain a Young Scientists Award. Here are some photos of the interesting things that Bree, Callum, Ryan and Matt brought in to show us. Bree brought in a tornado in a bottle! 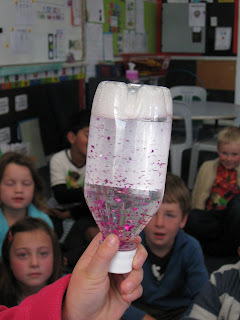 When you spin the bottle and hold it upside down, the water and glitter inside spins around really fast in the same way as a tornado. Callum brought in an experiment that tested what things were soluble or insoluble in water. We discovered that sand, dirt, flour and talcum powder were insoluble (did not dissolve), but sugar and salt were soluble (did dissolve or disappear). We also found out that the sugar and salt dissolved quicker in warm water than cold water. Ryan and Matt made sherbert for the class. They followed the recipe carefully and mixed everything together and then we got to try it. It was sweet and sour at the same time and very fizzy on our tongues. We discovered that it is a gas called Carbon Dioxide that makes the sherbert fizzy. The sherbert has citric acid and baking soda in it. 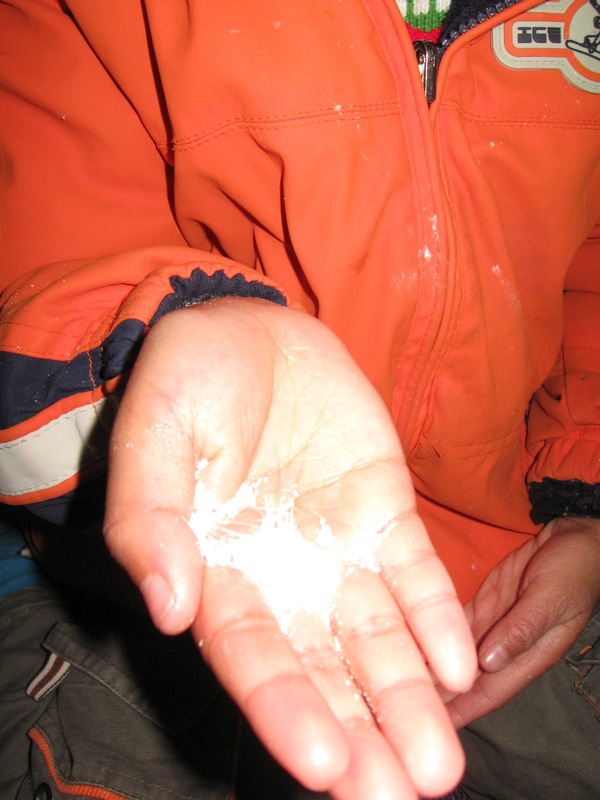 When you lick the sherbert they turn to liquid and start fizzing and making Carbon Dioxide gas. Very cool science experiments B4. Have any of you tried these at home?? Ryan and Matt may have to show us the soluble and insoluble experiment and the tornado experiment at home. They seem like so much fun.